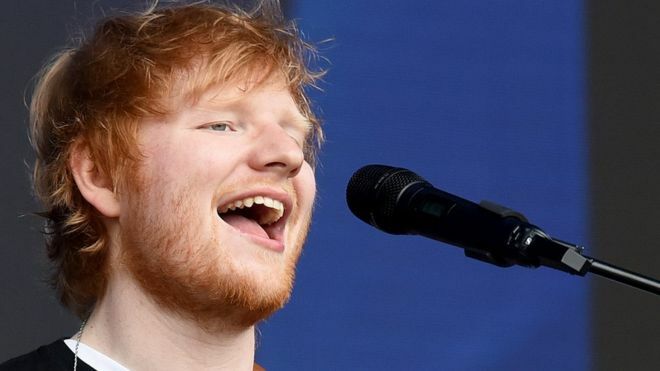 Up to 10,000 people were helped to seek a refund for invalid tickets during Ed Sheeran's UK tour, with just under 2,000 in Cardiff. The Shape of You singer imposed strict rules for entry at his 18 gigs to try to stop the reselling website Viagogo selling overpriced tickets. Tour promoter Kilimanjaro Live said thousands of fans with invalid tickets from the website were offered new ones at face value. Viagogo has been asked to comment. 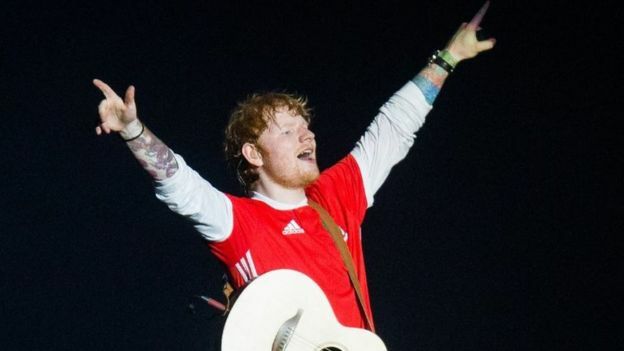 Sheeran had said he wanted to stop fans being ripped off by secondary ticket sites, many of which are believed to be used by touts selling at overinflated prices. The majority of ticket resellers had agreed not to list tickets for the stadium tour but Viagogo did not follow suit - and fans who bought tickets from the company were told they were cancelled. They were given a letter after arriving at the concert to prove they were invalid - which is needed to gain a refund from the reselling site - and then offered new tickets at face value for that night's concert. Stuart Galbraith, chief executive of Kilimanjaro Live, said up to 10,000 people were helped with their invalid tickets throughout the tour, adding the system had proved to be successful. "We ended up dealing with just under 2,000 fans in Cardiff," he said. "Unfortunately they included people who had paid several thousands of pounds for tickets." Claire Turnham of Victim of Viagogo, which was based at the box office at each of the tour's venues to advise those affected, said staff had been "extraordinarily busy". "The amount of people who have been affected... it's a staggering number," she told BBC Radio Wales' Good Morning Wales. "It's all about people power, this is about people joining together, fighting back." Sheeran performed to 240,000 fans over four nights at the Principality Stadium in Cardiff from Thursday to Sunday - a record-breaking run. His ticketing system is not a first - Glastonbury and the West End musical Hamilton operate similar policies - but no-one had attempted it for a large-scale tour before. 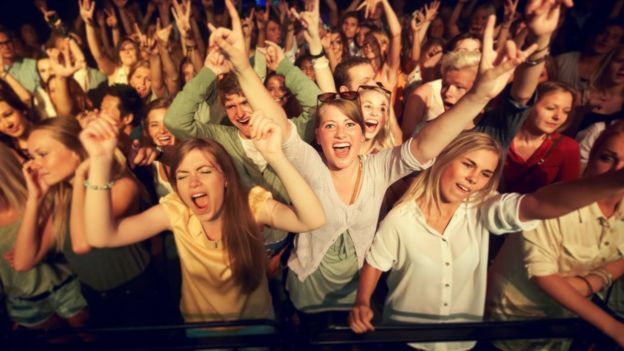 Viagogo is currently facing legal action over alleged failure to comply with consumer protection laws. On its website it protests against concert promoters who deny entry to fans using resold tickets. "These types of entry restrictions are highly unfair and in our view, unenforceable and illegal," it says.